As digital ad spending overtakes "traditional" media this year, it is clear that modern data-driven media technologies have also fundamentally moved the ad game beyond reach, frequency and impressions. 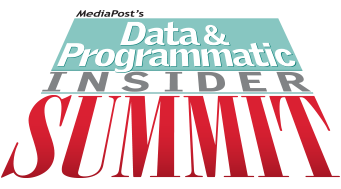 MediaPost's Data & Programmatic Insider Summit explores how marketers are using these tools to target not only audiences but business outcomes. Data is not only fueling ad buys, but tying a range of marketing techniques to more specific brand goals - from acquisition to sales, loyalty to lifetime value. At this year's summit marketers and senior media buyers and planners will share how they build new KPIs around outcomes, not just impressions. How is the gusher of consumer data being managed, vetted and valued? What can we learn from the new generation of direct-to-consumer brands about all of these evolving strategies? And how will we integrate new channels of data-driven and automated media like Amazon ads, audio, and out-of-home? At this year's Captiva summit, we put data at the center of the next stage of digital advertising - the post-impression era of targeting outcomes, not just eyeballs. Please make sure you enter the same email address you have for your MediaPost Membership account in the form to receive the member discount on the event ticket! Let's start this engine with the fuel that runs it - data. As investment into all "parties" of data accelerates, how are marketers measuring ROI, using it as a profit rather than a cost center, and tying their data+ad spend to actual business outcomes, and not just impressions? Linking digital spend to specific business outcomes, custom KPIs, has become an attractive goal for next generation metrics. But what does "optimizing to business outcomes" really mean and what does it look like in practice? How are media planners and analysts actually building these gauges of success up front? And how is it changing the relationship between agency and client, advertising and marketing? Kevin Howard, Senior Director, Digital Marketing, Ally Financial Inc. The early promise of programmatic was that it would make the Web more attractive to bigger brand budgets. But have marketers really moved beyond using this channel as more than a DM tool? 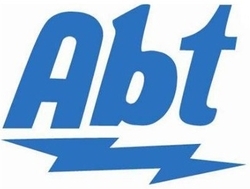 What do programmatic brand strategies look like? How are they targeted, messaged and measured? How are planners using programmatic audience selection alongside performance, balancing broader targeting with in-market targets? We ask our panel of media buyers and planners to share best examples and practices. One on One Meetings scheduled for select attendees. Invites are on a case by case basis so please check your inbox. Programmatic technologies are over a decade old but new forces are bringing fresh perspectives to their use. On Day 2 of the Summit we follow emerging direct-to-consumer brands as they build brands via performance media. We also take the measure of the newest member of the ad oligopoly, Amazon. And we follow the money into data investments and try to track the ROI. 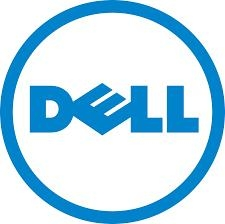 Learn how Dell shifted its focus back to their most valuable marketing asset, first-party CRM data, to enable personalized cross-channel customer experiences and deliver business results. Moving from one-size-fits-all to marketing into personalized customer journeys is a journey in itself. Premium supllements brand Life Extension shares the lessons learned. About understanding your own data before you try to segment it. About proper profiling. About moving beyond transactional relationships with customers. And about reorganizing internally to work across if not take down the silos. Marketers are increasing their investment in data by double digits annually, by some estimates topping $15 billion in the US alone. Is anyone measuring the ROI of this investment, let alone its impact on marketing and business outcomes? We explore how marketers are gauging their investments in data, vetting it for quality, recency, incremental value. How is data acquisition being tied not only to media but to a range of other marketing goals? Automated advertising and audience buying launched into podcasting and out-of-home this year. We end the Summit leaning forward into how programmatic combines with and extends into these channels. We explore how mobile devices especially are knitting together a new range of audio, physical and video ad platforms. With over 180 million monthly streamers and 73 million podcast listeners, digital audio has achieved the kind of scale and fragmentation that invites programmatic solutions. But are dynamic insertion solutions working, for marketers and listeners? How are early users of these channels integrating audio into other parts of the data driven media mix, staying native to the medium, and measuring its impact. Programmatic OOH has come of age. But marketers may be finding its greatest impact in combining this biggest, least mobile canvas with the smallest, most mobile one. We explore where, when and how data-driven signage finds its payoff in combination with mobile. 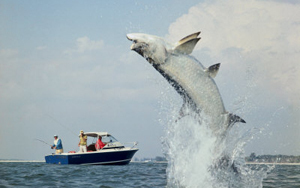 Fishing Guides will take you to the best fishing spots in and around the shallow flats surrounding the Resort that teem with fish of all breeds - tarpon, snook, red fish, and shark are all common trophies! Guides provide the poles, bait and necessary supplies. Sunscreen and lightweight clothing recommended. Activity ends at 6PM. Just 15 minutes from the conference center, this special Private golf course designed by nationally acclaimed course architect Arthur Hills, describes the course as "my island masterpiece - elegant, exquisite, and rare." Bordering the world-renowned J.N. "Ding" Darling National Wildlife Refuge, this beautiful course weaves and winds around nature preserves providing panoramic views of the Pine Island Sound and mangrove forests with encounters of the wide variety of birds and wildlife that call The Sanctuary home. Guided kayak tours exploring Bryant Bayou and the crystal clear waters that surround South Seas Resort. Meet at the T-Dock at the north end. Activity ends at 5PM. Space is limited, so sign-up early! 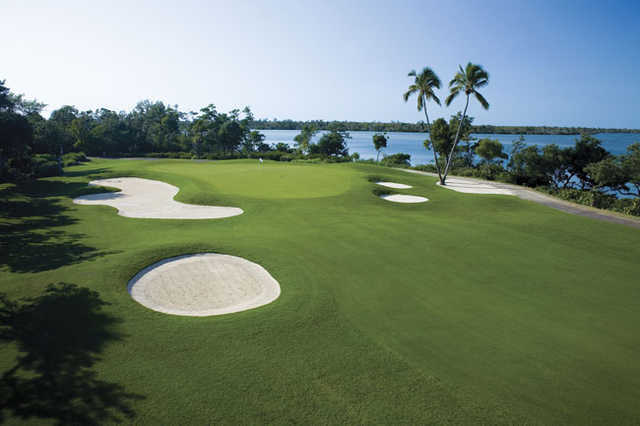 Test your skill on the Captiva Course at South Seas Island Resort. This nine-hole executive course was designed by Chip Powell, and is ranked as one of the "Top Five Short Courses" in the world. 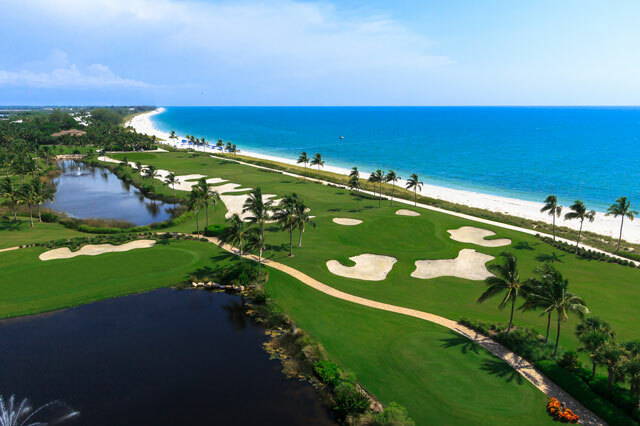 Gulf views from every hole make this course a truly incomparable setting, as well as a challenge to the short game. Players of all abilities are welcome. Enjoy a 30 minute narrated cruise to the Cayo Costa State Park. Cayo Costa offers 8 miles of undeveloped barrier island beaches. Once arriving at this secluded state park you can enjoy two hours for swimming, shelling, bird watching and beachcombing and relaxing. Bring along anything that you would normally take to the beach with you…beach towel, hat, sunscreen etc. "MediaPost's Summits are a great opportunity to meet industry experts and learn about the movement in the digital space. I returned from the 3 days with a plethora of new contacts. It was the perfect environment to learn and network." "The Summit's mixed format of panels, speakers, and roundtable discussions kept the audience lively and engaged. Participants were also friendly and most importantly, knowledgeable. Very well done!" "I've been to many conferences over the years but really appreciated the size and scale of these Summits. When you don't have to deliver a message to the masses it makes it much easier to dive in and have a real discourse about what's important with other industry experts. A very well-done event series." "The perfect mix of retailers, agencies and vendors to generate a lot of ideas and gain a better understanding of the role social media plays in business today. I look forward to attending again next year! " "The atmosphere is incredible. I was surrounded by some of the smartest people in the industry and I had a chance to network and talk to everyone." "This Summit was one of the most inspiring and insightful events I've ever attended. So many great industry minds all in one cozy lodge. I brought back a wealth of practical and actionable learnings that I'm already putting to great use. I can't wait to attend again." "This Summit is one of the best conferences I've attended. The intimate setting allows great conversation with peers and I love all the gold nuggets I pick up from the sessions... nuggets of opportunity that are leveraged to improve the marketing efforts for FedEx." Download a PDF of?our ground transportation choices. The closest airport is RSW Southwest Florida International Airport. There will also be?a Hertz rental on property which you can reach at?239-209-8031. Escape to a tranquil tropical-island destination along the Florida Gulf Coast, where time abides by a softer tempo and nature remains truly unspoiled. Discover South Seas Island Resort – a serene village and wildlife sanctuary unto itself – marked by white-sand beaches, coastal waters that glisten with endless shades of blue, and boundless opportunity for family adventure. The closest airport is RSW Southwest Florida International Airport. You can get a rental car from the airport or choose from one of the following transportation options. There is also a Hertz rental on property which you can reach at 188 slot online239-209-8031. 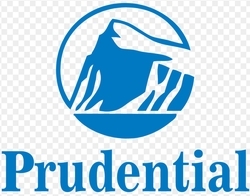 - Between the hours of 10:00PM to 6:00AM there is a add $10 premium. - $20 for stopping at grocery store for half an hour. - Punta Gorda $125 for the first 4 people and $10 for each additional. A $25 fee will be charged to passenger's credit card on file for a cancellation with less than 24-hour notice of the reservation. - Complimentary water or soda. - 1-3 people $80, 4 people $85. - Will also go to Tampa $360, Orlando $425, and Punta Gorda Airport $120. - Provides boosters, front facing, and infant rear facing car seats. - cold bottled water to all passengers flying into RSW. - Publix stop on the way in for an additional $25. - Grocery stops $10 every 15 min. - $30 extra for stopping for groceries. Are you wondering what to bring with you on your trip? Wonder no more! Bring yourself (Duh. ), your best team members and favorite clients! Pack comfortable, biz-casual outfits for the conference. Toss an exercise outfit and comfortable walking shoes in your bag. Sunscreen (and aloe lotion) & bug repellent! Oh, and remember to bring your phone and/or laptop chargers and power cords. The average temperature in May around the resort is a high of 82, and a low of 70. You will Sunburn within 30 minutes - be prepared for that with a good hat and plenty of sunscreen. If the breeze is blowing, the evening may feel cooler, so bring a light jacket or sweater as well. You're about to have an amazing time, and we're really looking forward to seeing you there! Can't wait! PS: Attendees will receive a FREE (and super cool) Search Insider T-shirt upon checking in at the resort -- a little gift from the MediaPost team for you wear at the resort and to commemorate the good times when you are return home/office. Insider Summits are complimentary to Brand Marketers and Agency Executives who meet our requirements. To begin the application process simply send your full contact info and one or two sentences about your role to Jon Ronga at jronga@ 188 slot online www.hairlossandcure.com. "The speakers, panels and roundtables at the Summit were informative. What a great group of people! Everyone was so nice and helpful. Looking forward to the next one!" "The intimacy and knowledge sharing during Media Post Summits amazes me. I very much appreciate the time dedicated to the subject and that we tackle the topics from various viewpoints. This is time well spent!" "A fantastic event for learning and sharing with thought leaders. 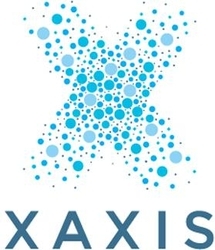 Gave an outstanding forward look into the world of brand experience management." Simply send your full contact info and one or two sentences about your role to Kevin Massa or fill out the online form. To begin the application process simply fill in your full contact info in the form below. Questions? contact Kevin Massa at massa@ 188 slot online www.hairlossandcure.com. Thank you! We will review your application shortly. For speaker consideration please complete the speaker proposal form. Due to the high volume of speaker proposals that we receive we will only be able to notify those whose proposals have been selected. All proposals must go through this form, no exceptions. Do not contact other MediaPost representatives regarding speaker opportunities. For questions regarding sponsorship of this event please contact Jon Whitfield, VP, Event Sales at jon@ 188 slot online www.hairlossandcure.com. For press inquiries, please contact Ken Fadner at ken@ 188 slot online www.hairlossandcure.com. For general summit inquiries please contact Maya Abulashvili, Coordinator of Events and Conferences at maya@ 188 slot online www.hairlossandcure.com. For questions about or to apply to the VIP Program please contact Kevin Massa, Manager of Brand & Agency Relations at massa@ 188 slot online www.hairlossandcure.com. MediaPost strives for excellence in its coverage of media, marketing and advertising. Our mission is to critically engage key questions for brand marketers, media buyers, sellers and emerging platforms. We choose speakers exclusively for their ability to bring perspective and insight to our stage. All conferences are programmed by proven, expert, unbiased journalists. MediaPost has never and will never engage in "pay to play" conferencing.